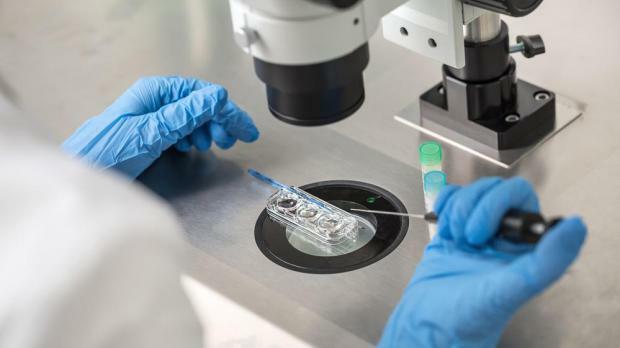 One hundred professors and lecturers from 14 faculties of the University of Malta are the latest in a long list of experts that have condemned the amendments the government seems determined to make to the Embryo Protection Act. The academics clearly say that these amendments greatly weaken the protection that should be given to the human embryo at its most vulnerable stage. They show how as a result of the Act a surplus of embryos will invariably and inevitably be produced and the need for ‘embryo orphanage’ will be created. These two positions give rise to the title of this piece. The statement by these 100 academics is the latest of a very long – and getting longer – list of persons and associations which prove that the amendments proposed by government will not serve the common good. Are these academics against IVF or persons who use IVF? Absolutely not. They strongly refute government’s spin when they support the IVF service currently being given to assist infertile couples and describe it as an essential service which should be upgraded as much as possible. They turn government’s arguments on their head: The current law and practice gives these infertile couples the comfort that the dignity of their embryo (i.e. their child) is respected and that he/she is given full protection while the amendments proposed by government will downgrade the embryo (i.e. their child) of the infertile couple to a little more than a commodity. Government is hiding the psychological, legal and moral cost of freezing. Parents will now have to choose who of their potential children is to live and who will be frozen. The present law offers couples the possibility of freezing eggs and then fertilising and implanting others when needed. An appendix to the statement shows that this process has been performing fairly well in comparison with other European countries. The question begs itself: why is government embarking on the ethically and psychologically risky path instead of increases the resources needed to make a better success of the method that does not carry such risks? Government’s proposal will lead to the production of surplus embryos; their number will increase with the passage of time. Government says that they would be given for adoption. The statement by the academics quite rightly doubts the feasibility of this option. Who would want to adopt an embryo that would have been deemed inferior in the first selection? Gamete donation, in the opinion of the academics, may result in potential psychological consequences which may complicate the identity formation process of eventual offspring. Anonymous gamete donation makes a mockery of the child’s right to know his or her biological origin. Children born as a result of gamete donation will never be able to establish any relationship with their biological parents. The signatories do not mince their words: surrogacy, which is another form of commodification of women’s body, involves a fragmentation and trivialisation of parenthood. Although prima facie maternal surrogacy would appear to constitute a wonderful gesture of selfless altruism, it is, in practice, fraught with numerous biological, legal and ethical problems. Government ignored, among other, the President of the Republic, the Maltese Paediatric Association, George Vella, a former Labour deputy Prime Minister, Deborah Schembri a former member of Muscat’s cabinet. Will it now also ignore these one hundred academics? Probably it will ignore them if cynical calculations show that it will gain more votes than lose votes by enacting these changes. The issue is not about principles and neither it is about how many are against or in favour. The issue centres only on one fundamental point: will more people change their vote if these amendments are or will they do so if they are not enacted?